According to a new study performed by scientists from the International Union for the Conservation of Nature (IUCN), nearly one-third of cactus species are under threat due to overexploitation and illegal trade of the plants. The Global Cactus Assessment was published in the journal Nature Plants. The Global Cactus Assessment revealed that the cacti is now the most threatened species in the world. 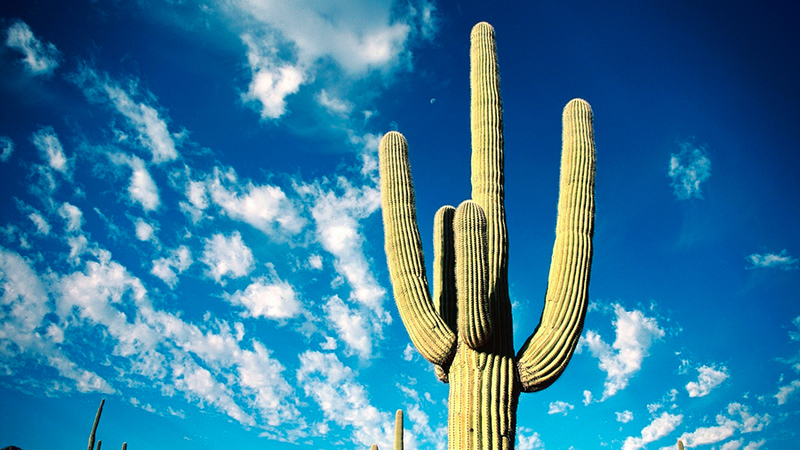 Mammals and birds are now below the average risk percentage compared with the cacti. “Now we have a complete picture, and cacti are under increasing pressure from human activity, including illegal trade, which was much greater than we previously thought,” said Barbara Goettsch, a scientist with the IUCN and co-lead author of the Global Cactus Assessment, as BBC News reported. Scientists discovered that 32 percent of the 1,480 cacti species that are in the world, were currently under pressure due to over-harvesting, illegal trading, agriculture, aquaculture and the destruction of habitats with small livestock and farm operations. The evaluation found that the illegal trade of live plants and seeds for the horticultural industry and private collections, as well as their unsustainable overexploitation, injured around 47 percent of threatened species. “The results of this assessment comes as a shock to us. We did not expect cacti to be so highly threatened and for illegal trade to be such an important driver of their decline,” Goettsch stated, as BBC News informed. Several species of cacti are highly desired by collectors for their beautiful flowers. Also, half of the species are used for food and medicine. “They have amazing flowers and they have a unique form. There is a horticultural market outside the country of origin,” said Goettsch, as Voa News informed. The lead author of the study explained that knowing what (and where) is the factor that threatens each species, can help them design a conservation plan. “So, for example, you would look at very different things to do in Southern Brazil, where most of the threatened species are affected by Eucalyptus plantations, than for Peru, where species are mainly impacted by illegal trade for international markets,” she added. This concerns the scientists because cacti are a vital component for numerous arid ecosystems as it provides an important source of water and nutrients. “If we care about the planet, we need to care about arid lands as well.” Goettsch stated as Voa News reported. Goettsch also claimed that “One other thing that would really help these plants would be to raise awareness of the importance of harvesting sustainably because in many cases the plants are not destined for international markets. They are just traded in local markets so many local communities need to be aware of how they should harvest them or if they should harvest them at all,” BBC News reported.